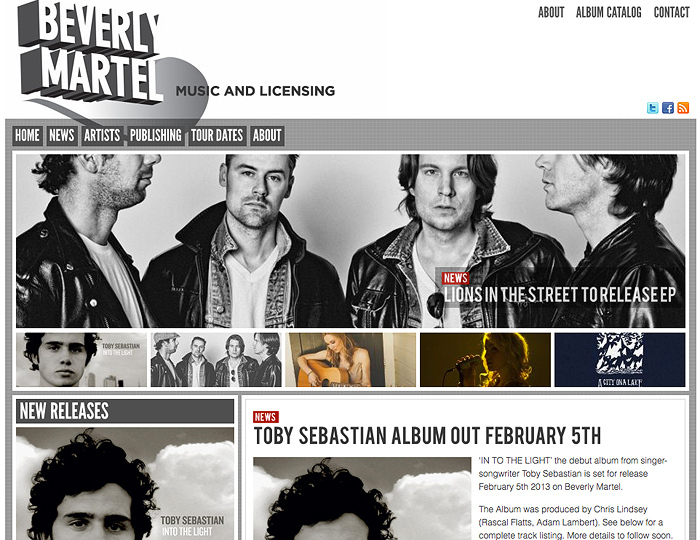 Led by industry veteran Sandy Roberton, Beverly Martel Music has been busy breaking new artists for over 10 years. The website is WordPress-based and focuses mainly on facilitating rapid updates about the bands and musicians on the company’s roster. This is the second incarnation of this dynamic site.